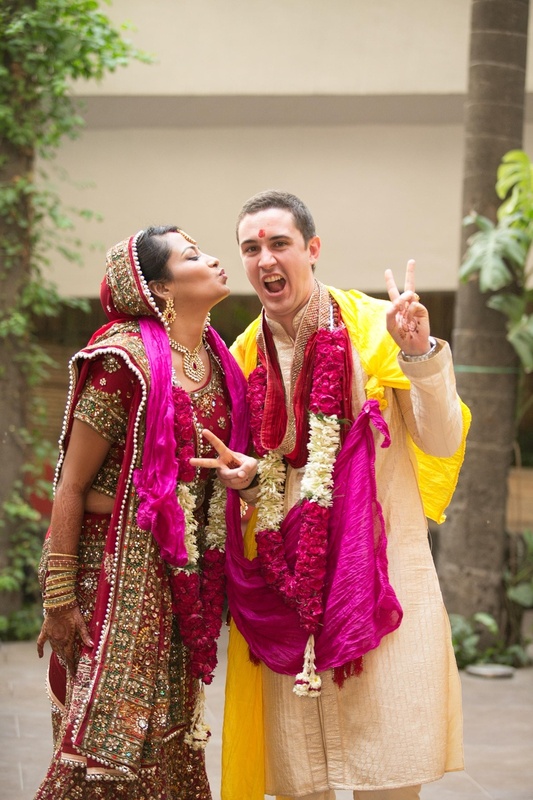 It’s always fun to see two cultures embrace each other. 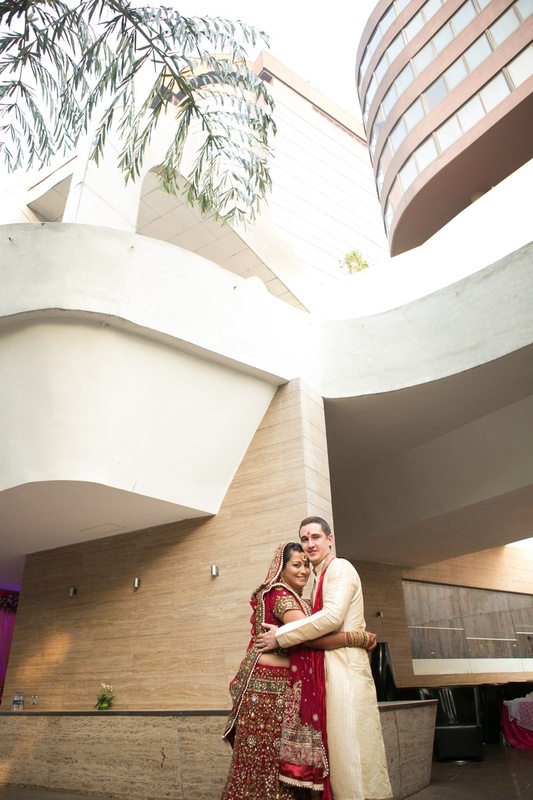 Especially, when it comes to weddings, there’s so much you can take with you - The experience, the journey, the memories and the not so ignorable magic of true love and Varsha and Francesco’s union was filled with exactly that. 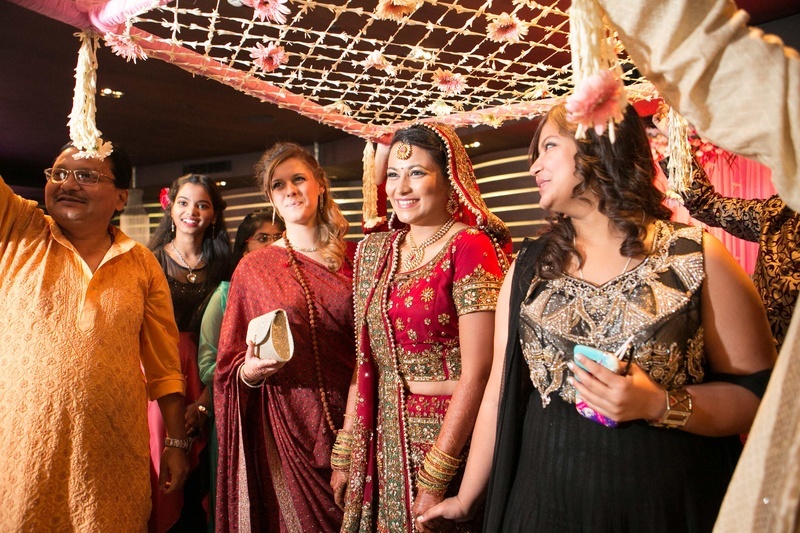 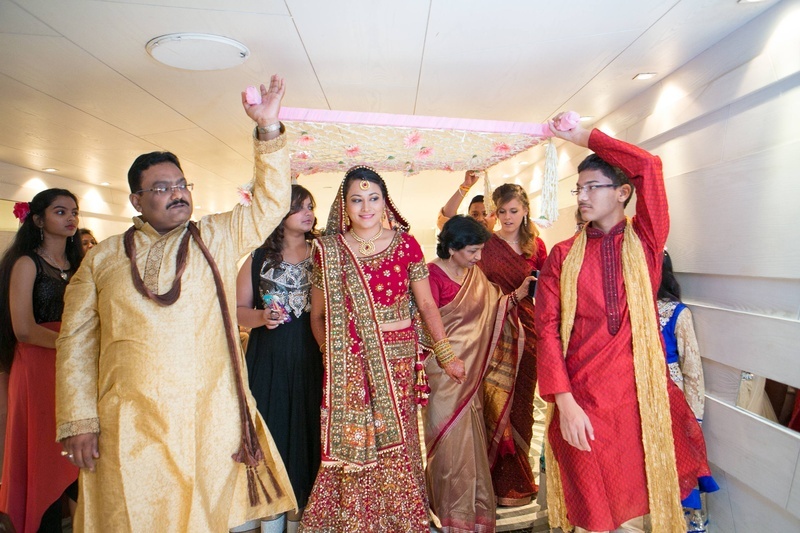 It was a wedding ceremony that definitely makes you wish you were right there witnessing this cross-cultural love affair. 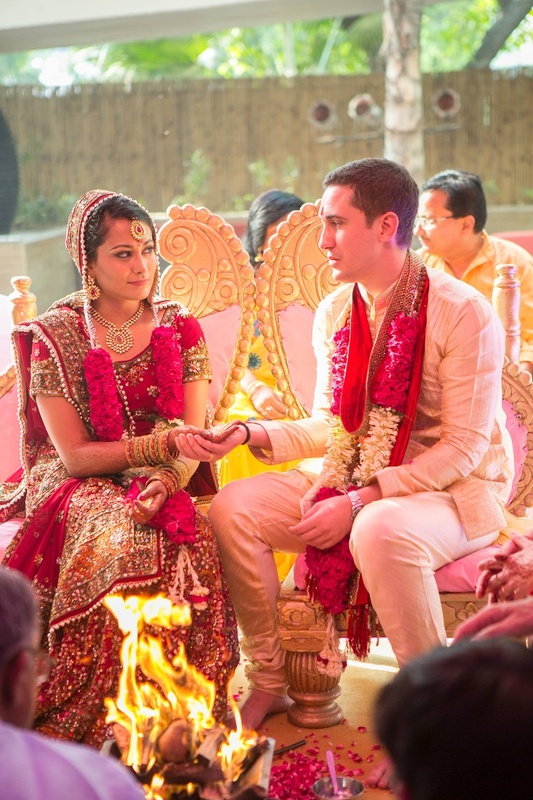 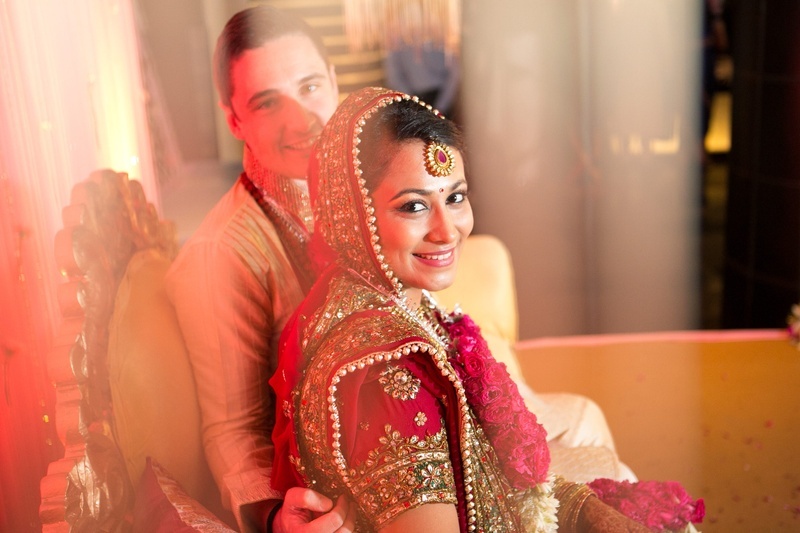 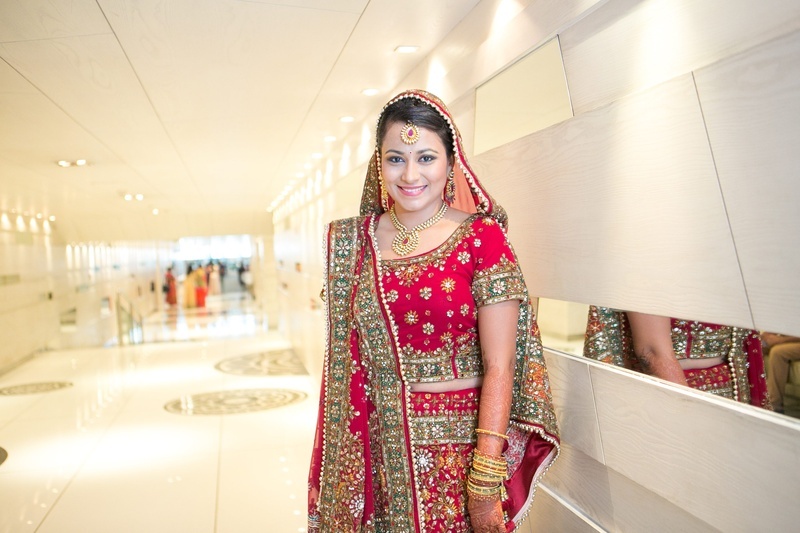 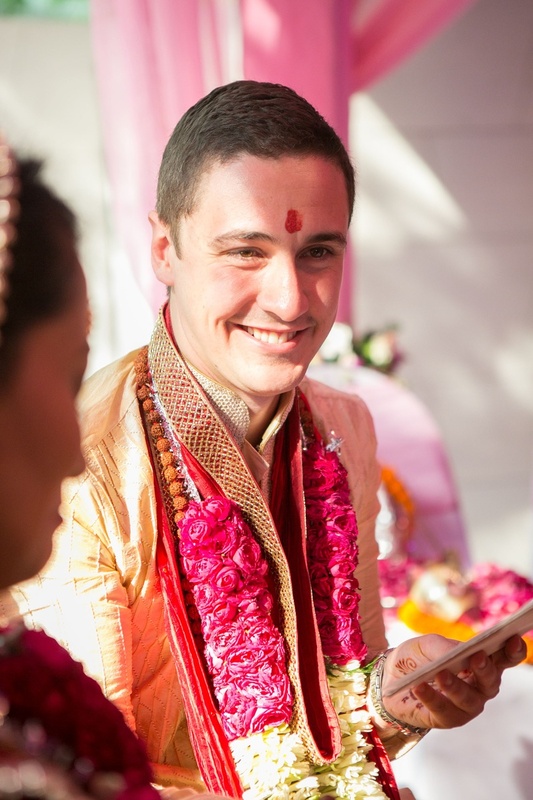 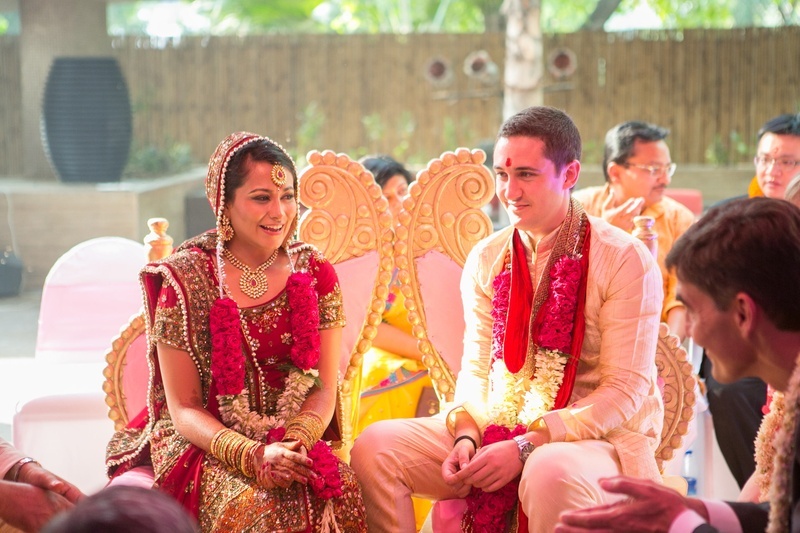 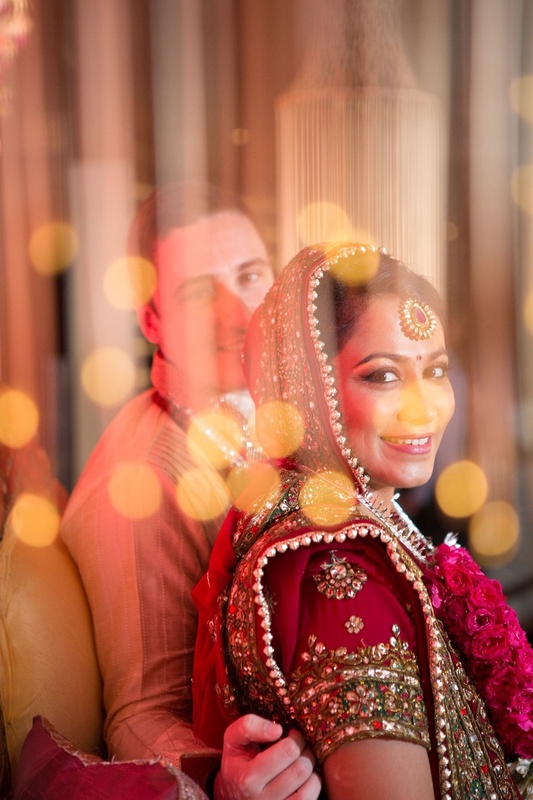 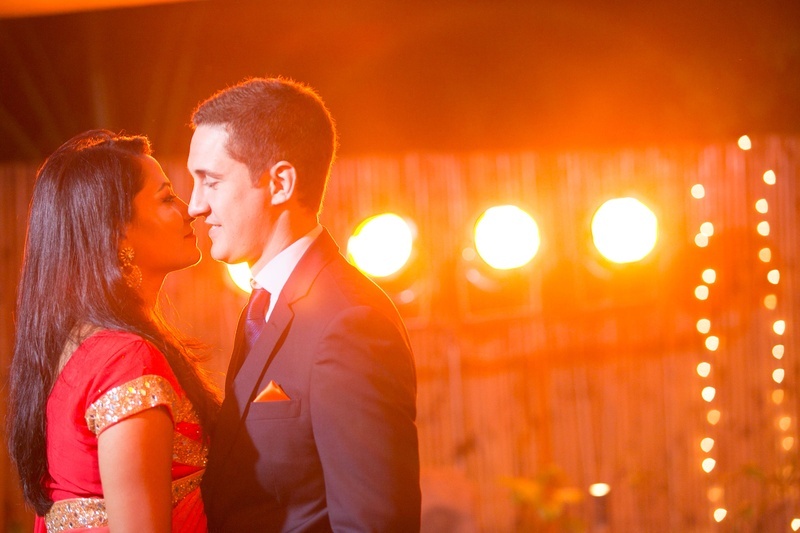 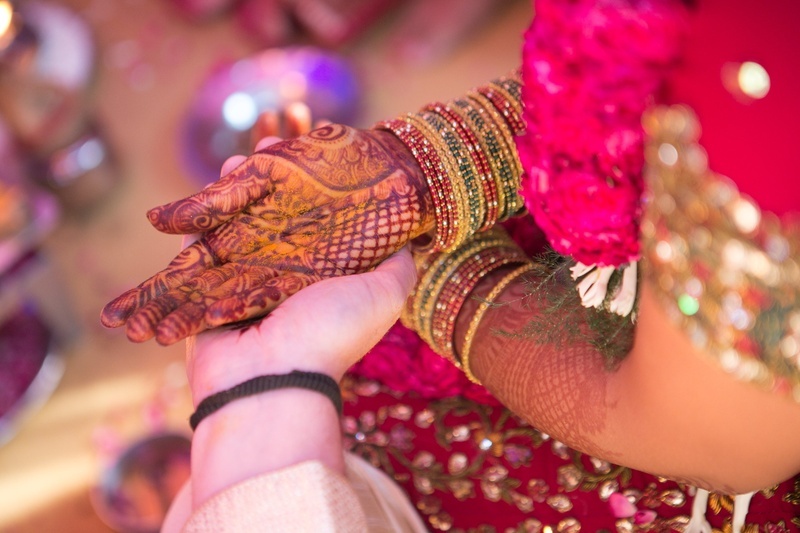 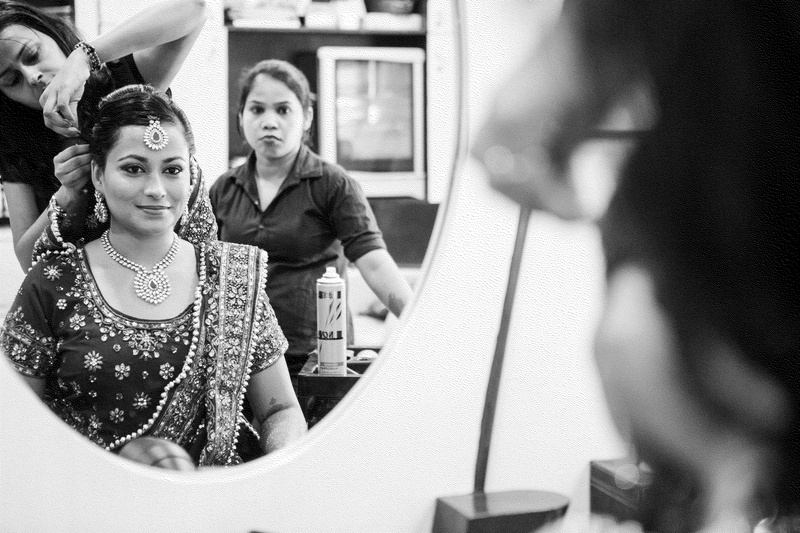 This beautiful couple became ‘One’ in Delhi’s grand Le Meridien Hotel in a traditional Hindu wedding held outdoors. 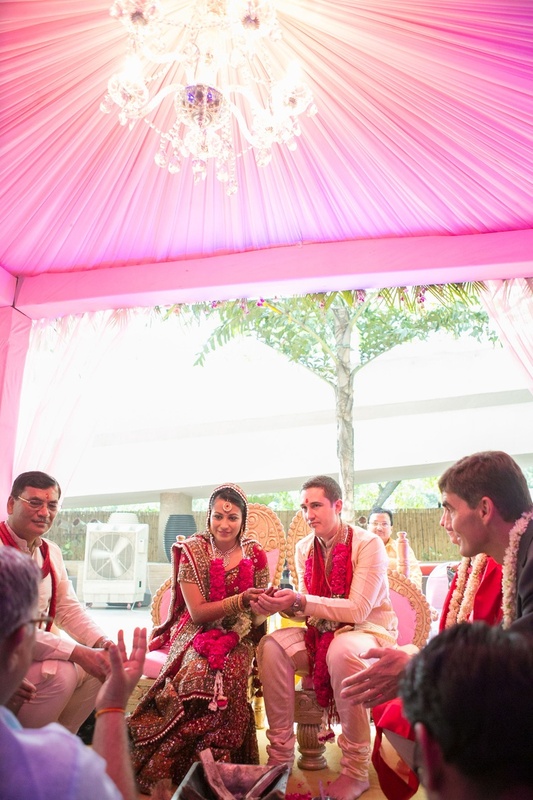 Seated on paisley pattered seats, Under a gorgeous pink cabana, the angrezi dulha looked oh-so-handsome in his gold and off-white kurta- churidaar. 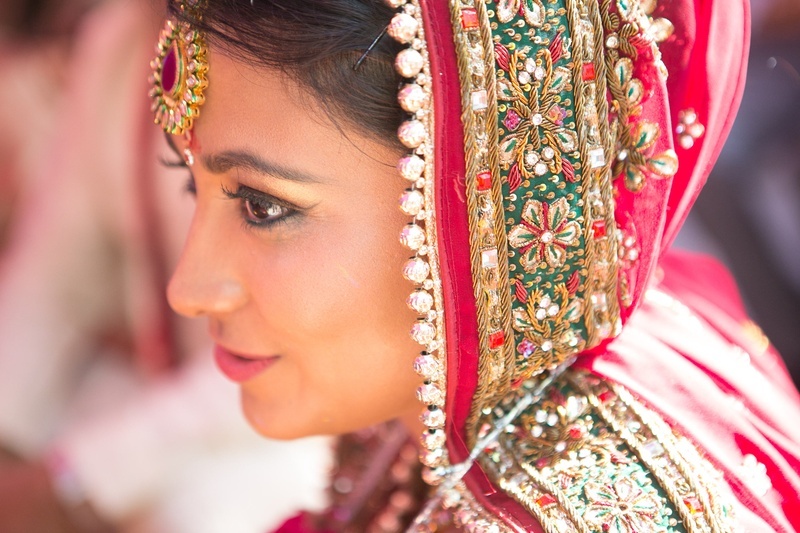 The desi dulhan on the other hand, looked absolutely stunning in her red lehenga that was intricately embellished with zardozi work all over. 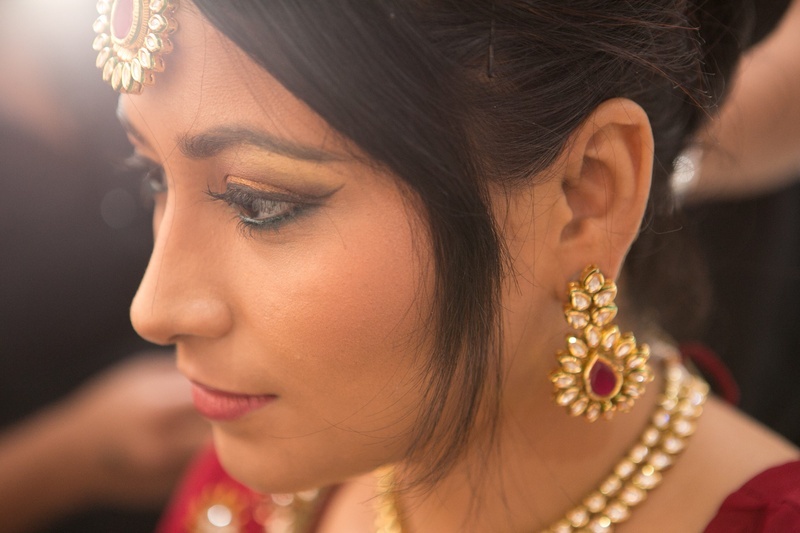 She accessorized her look with a regal kundan-polki studded jewellery set that also had a beautiful red gemstone engraved in it. 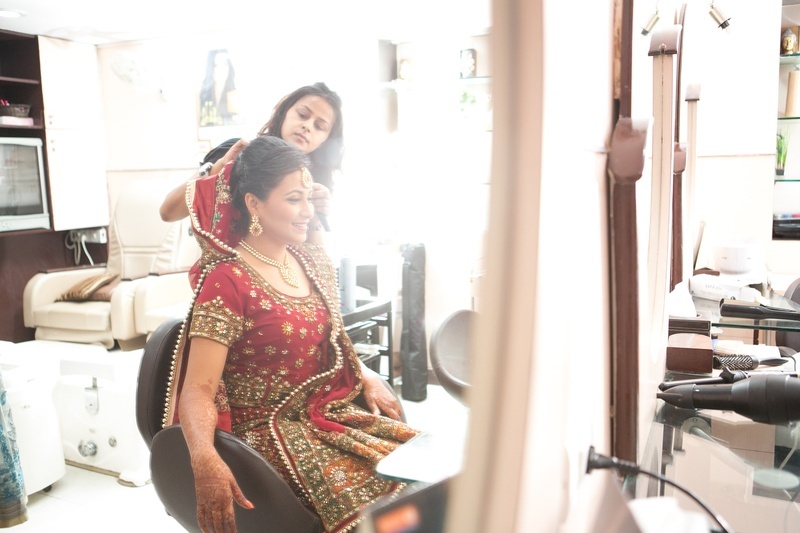 Let’s have a look at few pictures right here!